Rampage Women's Ishmael Faux Suede Slip-On Boots Just $19.99 Down From $99.99 At GearXS! Ships FREE! You are here: Home / Great Deals / Rampage Women’s Ishmael Faux Suede Slip-On Boots Just $19.99 Down From $99.99 At GearXS! Ships FREE! 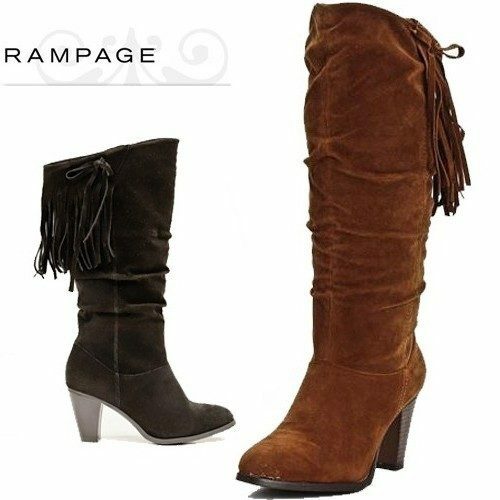 Rampage Women’s Ishmael Faux Suede Slip-On Boots Just $19.99 Down From $99.99 At GearXS! Ships FREE! GearXS has these stylish Rampage Women’s Ishmael Faux Suede Slip-On Boots on sale for $19.99 (Reg. $99.99) + FREE shipping!